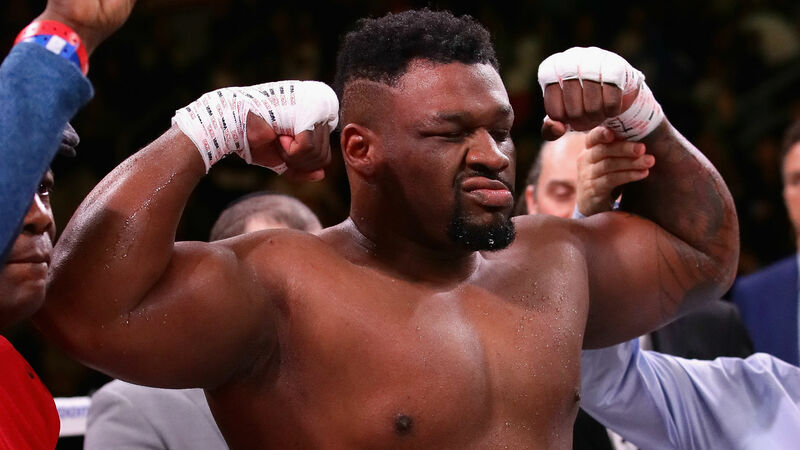 Anthony Joshua's next scheduled opponent Jarrell Miller has returned an "adverse finding" in a test conducted last month by the Voluntary Anti-Doping Association (VADA), according to promoter Eddie Hearn. Joshua (22-0) is set to defend his WBA, IBF and WBO heavyweight titles on his American debut against the similarly undefeated Miller at Madison Square Garden on June 1. But while the 2012 Olympic gold medalist continues preparations for the fight, Hearn - who represents both fighters under his Matchroom banner - revealed he had been informed of an adverse finding from New Yorker Miller. "We have been informed by VADA that there has been an adverse finding in Jarrell Miller’s sample collected on March 20th, 2019," Hearn wrote on Twitter. "We are working with all relevant parties and will update with more details soon. AJ's preparation continues for June 1st at MSG." Ominsport has contacted VADA for comment. Miller (23-0-1) last fought in November, beating Romanian Bogdan Dinu inside four rounds, two months on from Joshua stopping Russia's former world champion Alexander Povetkin at Wembley in seven.